Llawhaden Castle was part of the vast estates of the Bishops of St Davids. The original wooden fortress was sacked in 1192, and rebuilt in stone before being transformed in the 14th century into a fortified mansion. 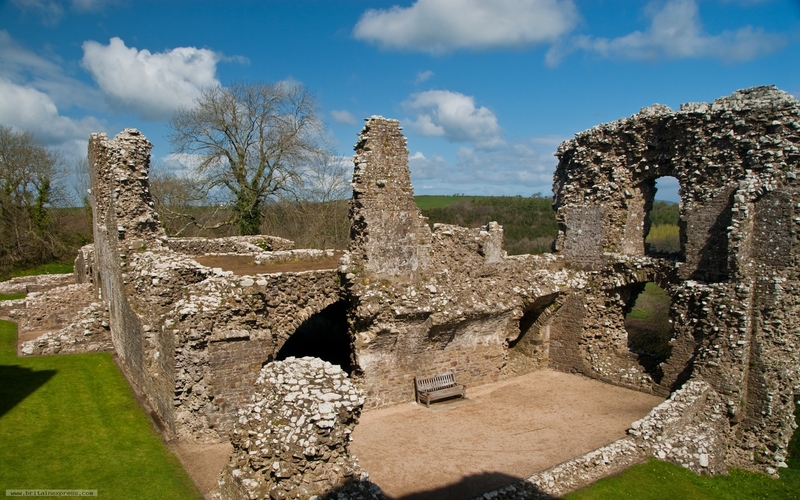 The extensive ruins include a soaring gatehouse, the remains of a great hall with undercroft, a chapel, and a prison. The castle is set in beautiful countryside, only a few miles north of the A40 near Narberth.